The aim of the study is to propose investment and non-investment activities to stimulate the development of rail container transport in Poland, based on its assessed potential until 2028. It examines the external factors, global and European transport trends, and the competitive Polish rail market environment. The analysis identifies external factors affecting the container business and explores the commodities structure in the trade between the EU, Poland, and China. 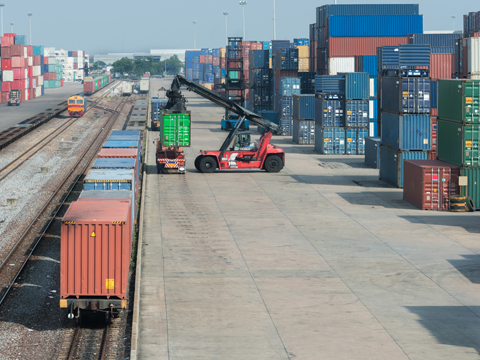 It describes containerised seaborne trade and liner shipping connectivity as well as main rail corridors between Asia and Europe and their interconnections to the TEN-T Core Network Corridors. The study thoroughly reviews railway infrastructure development plans in Poland presenting the detailed analysis of Polish container market and their trends between 2004 and 2018 against the background of other European countries. The report describes main opportunities and threats for development of the Polish rail container market. It identifies priority investments in railway and intermodal infrastructure, and proposes new technologies as well as legal and organisational measures to improve rail transport competitiveness in Poland.